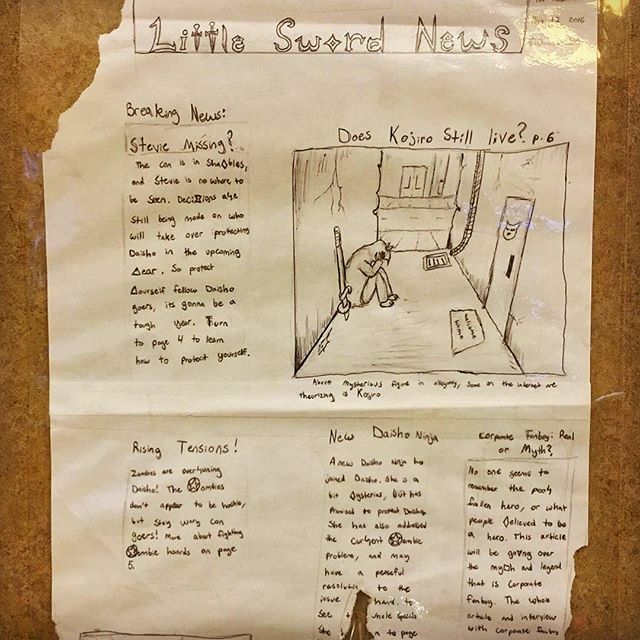 Hidden in the AnimeLab at DaishoCon was this fragment of Little Sword News with clues that were vital when I was solving the DaishoCon 2017 riddle competition. Solving the 10 riddles was a blast! Some fun codes & word puzzles mixed in — I even won a box with Japanese soda, pocky, and a mug!